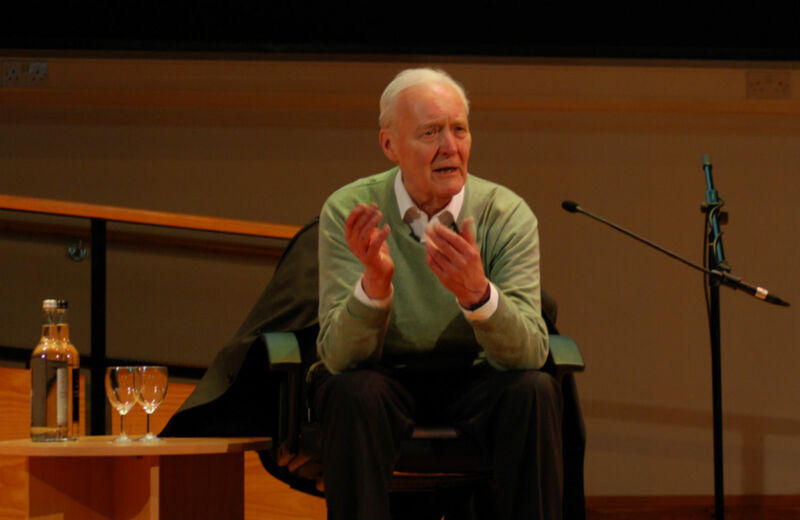 Tony Benn died at age 88 last week—and was immediately and fulsomely praised by many well able to restrain their enthusiasm for him in his lifetime. British politics had changed immensely since Benn first entered Parliament in 1950. The class bound and locally rooted antagonists, Labour and Conservative, had to learn national media strategies in the television age. Imperial power was claimed, triumphantly, by the Americans, and the realistic British acknowledged, sorrowfully, that their nation was subordinate to its erstwhile cousins. The West Europeans (including old enemies Germany and Italy) had achieved more prosperity and successful welfare states administered by socialists and social Christians in alternation or alliance. Black and brown immigrants began to flow in from the Commonwealth. Harold Macmillan, a Tory Keynesian, won the 1959 general election with the slogan, “We are all workers now.” Labour argued endlessly about what a modern socialist project would entail. Benn’s early career was chiefly conspicuous for his struggle to avoid having to move to the House of Lords after his father’s death in 1960. It took three years, but new legislation enabled him to renounce the Peerage. There were some signs of rebelliousness in a generally dutiful early political biography. He was one of the first parliamentarians to criticize South African apartheid, and—in opposition to the party leadership—voiced skepticism about Britain’s nuclear weaponry. Benn, unlike many of his Labour contemporaries, took seriously the more critical cultural and political currents in the larger society. These included, variously, the New Left, the Campaign for Nuclear Disarmament and a systematic disrespect for inherited patterns of deference and sobriety. When the New Left thought of profoundly altering Great Britain, we took the revolutionary step of opening The Partisan Café in Soho, central London. My memory is of Benn coming from time to time with his American wife, Caroline, a remarkably intelligent person utterly unsympathetic to the belief of many Britons (some in Labour) that nothing should ever be done for the first time. My mother and father were both Congregationalists and Congregationalism is interesting because everyone has a hot line to the Almighty, you don’t need a Bishop to help you. So no hierarchies, just trust the people. We used to read the Bible every night and my mother told me that the Bible is the story of the conflict between the Kings who had power and the Prophets who preached righteousness. She taught me to support the Prophets against the Kings. Benn’s path to the prophetic status he occupied for years took him through cabinet posts, profound political conflict, and internal exile in his own party. As minister and contender for party leadership posts he insisted on using the state to modernize Britain’s industry. Wilson and his rather more robust successor Callaghan were unwilling to undertake a total confrontation with the masters and ideologies of British financial capitalism, the City and Blair proudly declared that New Labour was the best ally of new (and old) money. Labour actually split in the early phases of the argument, a group led by Roy Jenkins and David Owen forming a new party. Thatcher in 1979 exploited these divisions to win an election and proceeded to total war on the trade unions and local and regional self government. Benn’s open intention of reconstructing Labour doctrine and practice in its entirety discountenanced and frightened many of his contemporaries in Labour, and he was relegated to the back benches. Actually, his failure to remain in the party leadership (he sought the Deputy Leadership but was defeated in 1981) was liberating. Sufficient numbers of parliamentary colleagues agreed with him, or sympathized with him, to preclude his being completely excluded. He spoke for himself, or rather, for groups and ideas disregarded as Labour’s leaders flailed desperately in the effort to construct a coherent response to Thatcherism. In December of 1980 he came to Washington as guest of the United Auto Workers and the Congressional Progressive Caucus (with the Democratic Socialists of America) to participate in a conference on Eurosocialism. The other guests included Willy Brandt, Felipe Gonzales, François Mitterrand and Olaf Palme. I spent some time with Tony on the occasion, and we talked of the imminence of Reaganism, our fears of the intensification of the Cold War, and the precarious position of the parties of reform. Tony had seen some of the Protestant fundamentalist television spectacles, with their calls for war on Communism and secularism, pluralism and the welfare state. To think, he said, that the origins of much of American democracy were the same as our own in Britain—the thoroughgoing democracy preached in Cromwell’s seventeenth-century revolution. I could offer very little consolation: the spiritual energy that had infused the New Deal and the Great Society, the civil rights movement, the Vietnam protests, had drained away. In both English-speaking nations, we were about to experience the woeful compromises, the retreats depicted as realistic advances, of the Third Way—to be incorporated later in the policies of Clinton and Blair. I visited Tony occasionally, thereafter, on trips to London. I was struck by the quality of the younger people working in his parliamentary office. One of them was later to become a Nation intern, Ed Miliband. Upon Tony’s death, he issued a fine tribute to him, speaking as Labour’s leader, as an embodiment of conviction. Looking at Tony’s persistence in the past decades, the astonishing thing about it was indeed his unfailing moral generosity, his belief that the creative and communal potential of human nature could become actual, his sense that in total opposition he was custodian of treasures of national memory which ought not be allowed to dissipate. No doubt, there was a good deal of his religious inheritance in it. There was also something enduringly solid in British culture, hard common sense. (Recall the Parliamentary debate after which the House of Commons rejected Cameron’s plans to intervene in Syria.) I recollect a talk by Tony in the London suburbs. A few hundred people came, plenty of seniors with a fair presence of younger persons. Tony looked around, began by estimating the average age of his auditors, and raised a question. “There are about twenty thousand years of life experience in this hall. Do you think our nation has taken full advantage of what you have to give?” Of course, Tony campaigned against the Iraq war, against the monetarization of British existence brought about by the sovereignty of the City, against the arrogance of elites. He will be remembered for something deeper, his respect for his fellow citizens as an expression of his belief in a national mission.